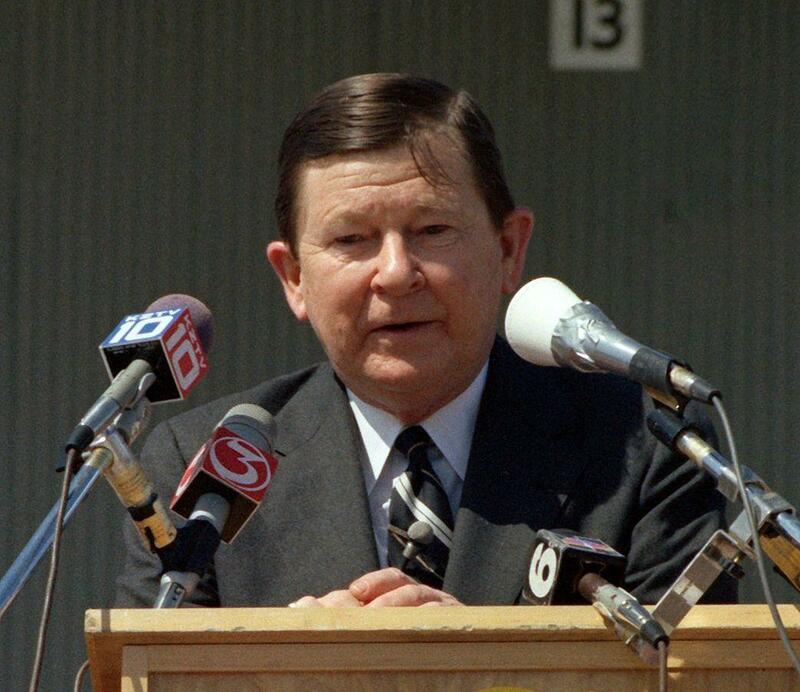 U.S. Sen. John Tower speaks at a ceremony in 1983 in Corpus Christi for the nuclear-powered attack submarine USS City of Corpus Christi. 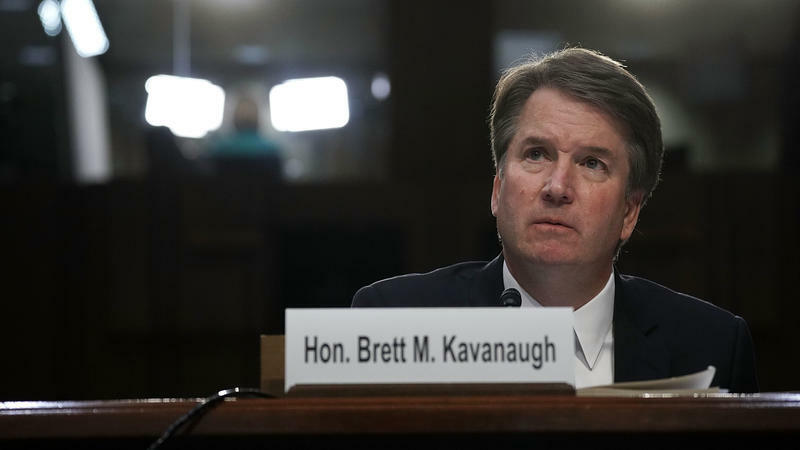 Many have compared Judge Brett Kavanaugh's confirmation with that of Supreme Court Justice Clarence Thomas in 1991. But not long before that, there was another Washington appointment held up by sexual harassment allegations, this one involving a Texan. John Tower was a four-term U.S. senator from Houston when, in 1989, George H.W. Bush nominated him to be Secretary of Defense. Walter Shapiro, a lecturer in political science at Yale, remembers this episode well. He's also a columnist for Roll Call and he wrote about the John Tower confirmation process. When his confirmation process began, Tower looked "good on paper." Shapiro says Tower was a hawkish defense expert and a former four-term U.S. senator. His nomination wasn't seen as particularly divisive. Despite all this, the nomination process unraveled, in part, because of Tower's substance use problems. 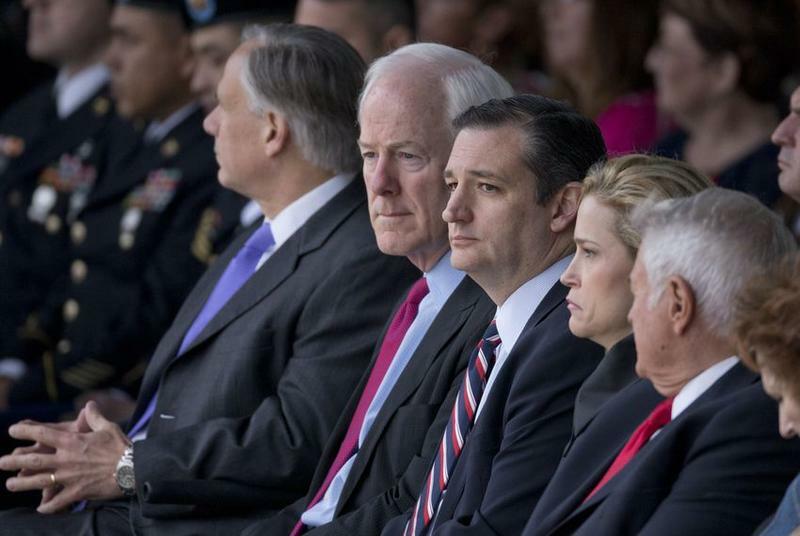 "Tower had major alcohol problems, which his Senate colleagues knew very well," Shapiro says. And that was a problem during the waning days of the Cold War, because senators worried that Tower could put the country's safety in jeopardy if he was inebriated, and had to make life-and-death decisions. Shapiros says Tower also had a reputation as a womanizer. "John Tower had a reputation around Capitol Hill as someone a woman – unless maybe she's in a wheelchair over the age of 90 – would never dare to share an elevator with," Shapiro says. "He was a bottom-pincher, a skirt-chaser, in the parlance of those days." Beyond that, Shapiro says Tower's colleagues just didn't like him, so they weren't willing to defend his nomination. "He was a veteran senator who was arrogant, off-putting to his colleagues and despite all the deference that senators normally give to former colleagues, he got none of it," Shapiro says. Looking back, Shapiro says the allegations of sexual misconduct against Tower were highly politicized; adversaries used them as a weapon. But he says the allegations didn't lead to much change in the larger culture. "Both with Tower, and then with the Anita Hill-Clarence Thomas hearings, sexual harassment became a major issue, and then it sort of vanished into the mists until the #MeToo movement," Shapiro says. Now, during the Kavanaugh confirmation process, Shapiro says lawmakers are taking sexual harassment and misconduct much more seriously because of the #MeToo movement. He says Sen. Al Franken resigned last year after being accused of sexual behavior that was less egregious than what Kavanaugh has been accused of. "That fact has been unmentioned during these hearings. In fact, Al Franken would have been on the Senate Judiciary Committee had he not resigned," Shapiro says. 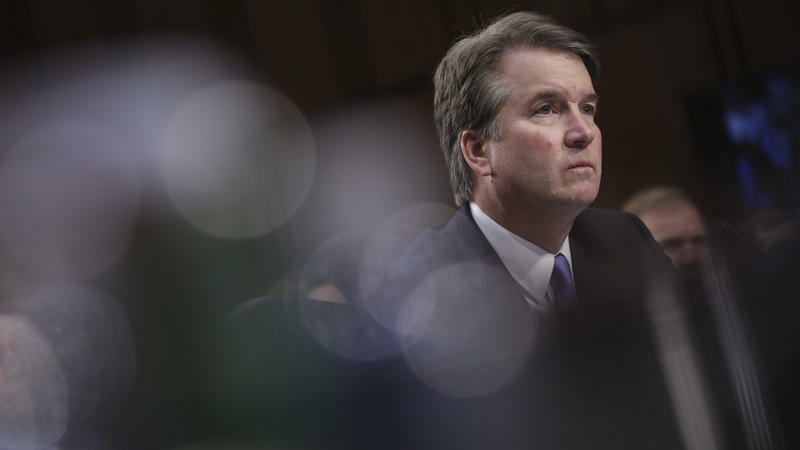 WASHINGTON — An explosive week at the U.S. Capitol is expected to climax Thursday when the Senate Judiciary Committee hears allegations of sexual misconduct against U.S. Supreme Court nominee Brett Kavanaugh — and Kavanaugh gets the opportunity to respond.